Let’s get some definitions out of the way first: Gentrification is integration that you don’t like. Integration is gentrification that benefits you. Filmmaker Spike Lee made news when he complained about the gentrification of Brooklyn recently, decrying the efforts of white interlopers to “bogart” black cultural enclaves like his native Fort Greene. But Lee suffers from the one-sided view of gentrification that informs much of the current debate. Real estate investors have helped foment ethnic changes in neighborhoods for generations both in New York and beyond, and the “hipsterization” of today’s neighborhoods echo the block busting and white flight of decades ago. 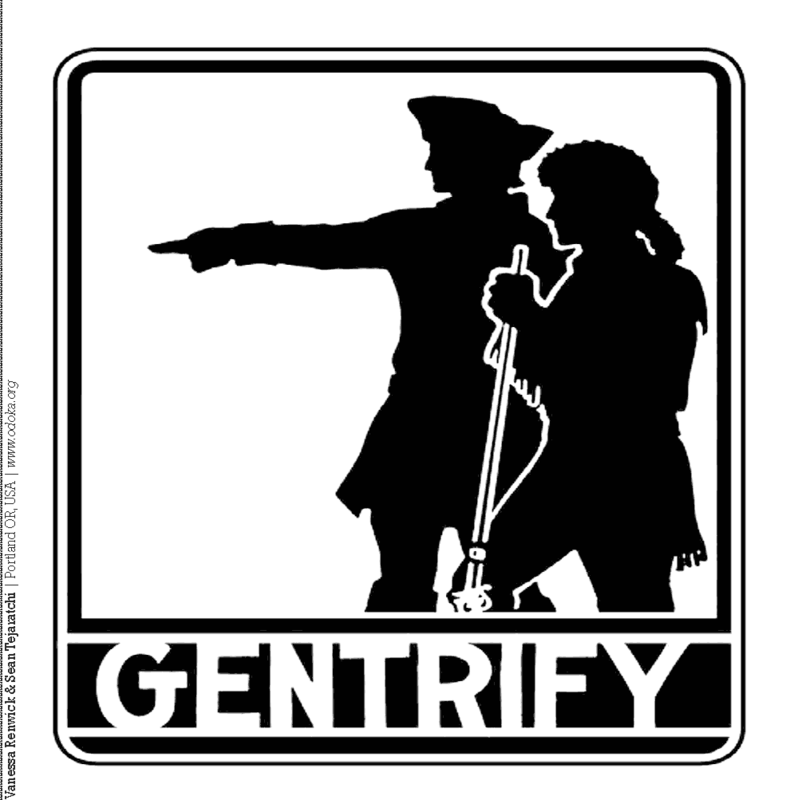 Gentrification today usually refers to middle or upper-class whites moving in to non-white neighborhoods, causing property values to rise and the non-white residents getting priced out of living there. But in the not-so-distant past it meant poor non-whites moving into mostly white neighborhoods in numbers large enough to drive down property values and chase away the white residents. For every black family being priced out of newly trendy neighborhoods in Brooklyn, there are a half dozen white families that were chased out of New York City years ago. My father’s family was one of them. My grandparents had seven children and were able to raise them all in the Fordham Road area of the Bronx starting in the late 1940s. By the time my youngest aunts were in high school in the 1970s, the area had become too dangerous and they left for Westchester. The hipster Brooklynites that Spike Lee assails are indeed loathsome beings, and ironically they’ll be the first to agree with and trumpet Lee’s remarks. (One of the surest signs that you’re a hipster is that you don’t recognize that you’re a hipster.) But many of these new residents have only bought into the cinematic view of Brooklyn that Lee popularized in his films. They want the urbane cultural currency of living in a black neighborhood without any of the risk and inconveniences of living in a black neighborhood. They are miserable wretches. Fine. But if Spike Lee is right to complain about the whites moving into Fort Greene, then the previous generations of whites who were chased out of Brooklyn were right to complain. If ethnic displacement is bad for blacks, then it’s bad for whites and everyone else. You can’t claim virtue in preserving black neighborhoods and not white neighborhoods. If it’s a worthy cause to keep Harlem, Fort Greene and Bed Stuy as they are, then it’s virtuous to keep Breezy Point, Woodlawn and Middle Village the way they are. But no matter how you remember them, old neighborhoods are destined for change. The coming and going of people from New York is so great that just about every neighborhood and enclave looks ethnically different than it did decades ago. That same rapid force of change that we would curse now is the same force that helped make the city what it was at our preferred moment. There is no golden age of New York City except in our own separate minds. The Roman Empire that gave us Rome is long gone, but Rome is still there. The American empire that helped birth New York City is fading now, but New York City will be here forever. That change is unavoidable; it’s helped New York survive. The more you selectively rail against gentrification, the more hopeless your cause. In New York City, the worst place to live is in the past.